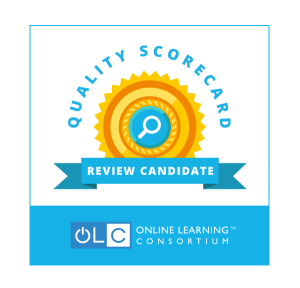 The seal that demonstrates the commitment to quality in your online and blended programs. 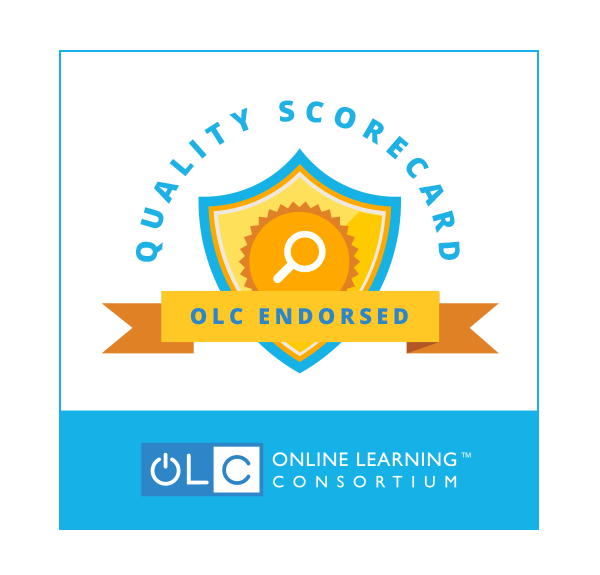 The Online Learning Consortium is pleased to share our new process to validate the quality of your online or blended program. Building on the traditional process we have in place, this new process provides colleges and universities with a quality seal to place on their website in order to demonstrate to all stakeholders (Boards, students, parents, faculty, and the local community) their commitment to quality in their online and blended program. See below for information about the difference between our traditional review process and the new Endorsement Process. The member institution submits an online application, and associated non-refundable fee, indicating they intend to complete each phase review process. Once the application is accepted, the institution will receive an email approving their acceptance as a candidate for endorsement. In addition, the candidate will be provided with a logo to use on their website indicating their initial acceptance into the process. Candidate will be given up to 12 months to complete the initial phase. During the candidacy phase, the institution completes the interactive scorecard and uploads artifacts (evidence) to support claims made for each indicator. Once the QS has been completed by the institution, they will submit it for the official peer review. An initial review is completed by the peer reviewers and feedback provided to the institution. The institution has an opportunity to review feedback and provide additional information. Within the short time frame, the peer review team conducts a final official review. The review team provides final feedback and score to the OLC. Status (Initial Applicant, Conditional Endorsement, Full Endorsement, Exemplary) of institution is determined and the OLC notifies the institution regarding status. 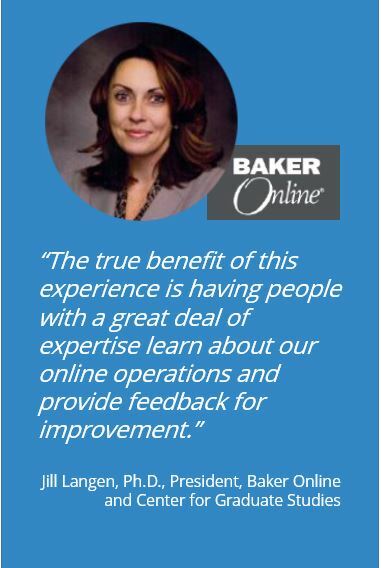 Learn more about Baker Online’s story.